A couple of years ago, a friend of mine mentioned that he had seen a "perfect" movie. I asked him what he meant, and he said that, for him, a perfect movie was one that couldn't have been any better than it was. This didn't mean it was the best movie he had ever seen, but that as he watched it and thought about it afterwards, he couldn't think of anything he wanted to change. 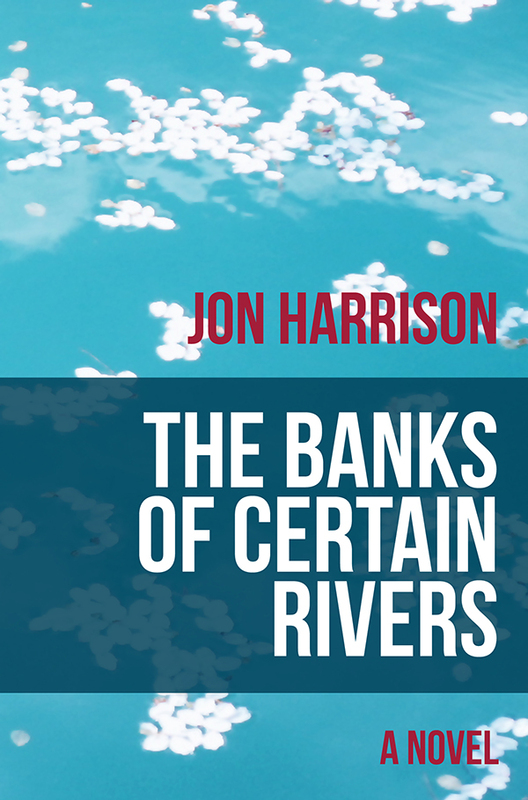 That's how I feel about this week's read for 52 books in 52 weeks, The Banks of Certain Rivers by Jon Harrison. The book is the story of one man's struggle to rebuild his life after tragedy. Several years earlier, a freak accident left Neil Kazenzakis' wife, Wendy, permanently comatose. Since then, Neil, a popular high school teacher, has been struggling to keep himself together and raise his teenaged son, Christopher. More recently, he's started dating Lauren, a sweet and patient woman who understands Neil's desire to keep their relationship secret so that his son's delicately balanced life doesn't tumble back into chaos. Then Neil breaks up a fight after school between some kids on the football team. Next thing he knows, footage of the incident has been posted to YouTube, but it's been manipulated so that it looks like Neil is abusing a student, not saving him. As the views of the YouTube video spiral out of control, Neil's placed on suspension from work while the school investigates. And when Lauren reveals some shocking news of her own, Neil slowly starts to unravel, leaving him no choice but to confront things he's long tried to avoid. A moment after that the room filled with a loud thumping noise, and every head in the place turned to see a blue Medivac helicopter ease from the sky down to a spot on the grass as gently as a butterfly lights on a twig. One humid night at the beginning of the summer, while jetliners rumbled overhead and fireflies winked green along the far-off row of brambles, my best friend and I sat by the fire pit in the field behind my house. In both instances, Harrison has perfectly set the scene with one sentence. You can hear that thumping Medivac, smell the campfire smoke. Most writers (myself included) struggle to do what seems effortless to Harrison. Another element is the deep layering of the story. There are no under-developed, walk-on characters. From Neil's best-friend, Alan, who is one of the funnier characters I've encountered in fiction in a while, to his aging mother-in-law, to the head of the school board who cares more about appearances than the truth, every character has a role to play and a clear personality, again, often sketched with a few, simple, penetrating sentences. What is a memory, anyway? Is it an indelible record, unimpeachable, frozen in some synaptic arrangement and stored away for some moment it might be needed in the future? Or is it subject to editing and revision, something plastic that our brains can shape into another form we can handle, something less toxic than the original, something less able to poison us? It is the answer to that question that lies at the heart of this story, and kept me thinking about it for a long time after I finished reading. I know I'll be returning to the banks of this book to seek solace, to learn how to be a better writer, and, most of all, to be entertained. As a final thought, Harrison's book is also proof of something that's becoming more and more evident: that quality books can succeed solely through reader -- rather than traditional publisher -- support, these days. I can't say why Harrison ended up self-publishing this novel, but I think it's lucky for all of us he did. Because you should read it, and hey, at $3.99 there's no excuse not to. And now for next week's read: Orphan Train by Christina Baker Kline, which has been on the paperback bestseller list for two weeks running. This one has been sitting by my bedside for a couple of weeks and I can't wait to dive in. In a world gone mad, books can be just the escape we need.